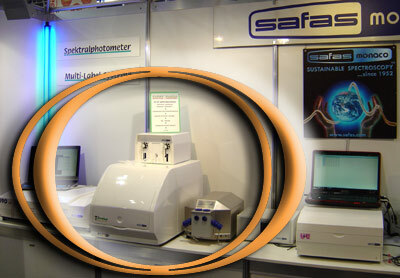 SAFAS Monaco IS THE ONLY EUROPEAN MANUFACTURER OF SOME KINDS OF HIGH TECHNOLOGY SCIENTIFIC INSTRUMENTS, AND SOME OF ITS PRODUCTS ARE UNIQUE IN THE WORLD. SAFAS IS ALSO THE ONLY COMPANY ABLE TO DESIGN ON PURPOSE HIGH LEVEL SCIENTIFIC INSTRUMENTS. WE USE TO ESTABLISH STRONG AND LONG-TERM PARTNERSHIPS, AND ARE STRONGLY INVOLVED IN THE INSTRUMENTATION AND SPECTROSCOPY WORLD. 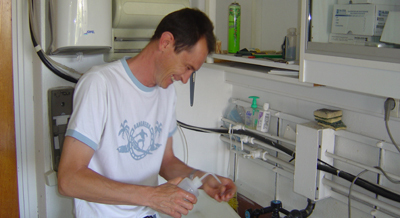 In more than half a century of activity in the scientific world, and considering the number of breakthrough technologies developed and introduced by SAFAS, it is obvious that SAFAS has been establishing hundreds of partnerships with laboratories and various Professors, Doctors and Industries, thus participating to other major breakthroughs in the scientific and medical field (1st catheterism, 1st artificial kidney, 1st instrument to follow up fluorescence in animal hearts, etc...). Because spectroscopy and discoveries have always been the passion of our R&D team, we are happy and proud to have brought so much to spectroscopy. We have established hereafter a short list of our most interesting current partnerships, and wish to profit by this opportunity to thank all our customers who, by their demanding requirements, have brought us so much. Maybe that’s why, to our turn, we have also been able to bring so much to them! Because the highest sensitivity in oxymetry deserves the highest sensitivity in spectrofluorescence measurements, OROBOROS and SAFAS are working in close partnership for developing innovative technologies in mitochondrial research. After years of collaboration, we are proud to introduce the association of Oroboros O2K highly reputed oxymeter, with the SAFAS Xenius outstanding spectrofluorometer, this association bringing to mitochondrial researchers new possibilities for their applications. It is now possible to monitor in real time simultaneously the spectrofluorescence, pO2 and flux, with great ease-of-use and flexibility. SAFAS has always helped the innovative research teams, with sponsorings of their congresses, as well as with the design of specific new instruments which they couldn’t find on the market. SAFAS has always been participating to innovative projects, and also helping dynamic students in developing their innovative projects. On this picture, one can see the Robotics Club of the prestigious Ecole Centrale de Paris, during the French Robotic Cup 2007 e=M6. This team of engineering students of Ecole Centrale de Paris, sponsored by SAFAS, despite a last minute technical problem, managed to reach a 23rd place, despite the 138 teams in competition. After so many years of collaboration with University of Nice, and several years of partnership with the Mix Research Unit INRA-UNSA of Nice (National Institute for Agronomic Research / University of Nice Sophia Antipolis), the UMR ROSE, SAFAS has signed with this research unit a collaboration contract with exclusive licence for an international patent based on fluorescence measurements on living cells. Developed mainly for Toxicology, Ecotoxicology, Physiology and Pharmacology laboratories, this innovation enables to reliably and easily achieve perifusion experiments, and easily changing pH, pCO2 and pO2, thus obtaining accurate and reproducible measurements of intracellular parameters. 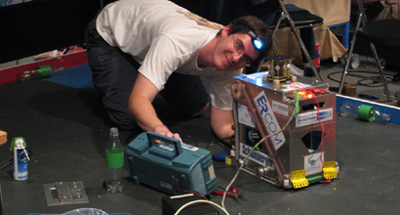 Associated to the outstanding performances of SAFAS spectrofluorometers, this innovation is a technological breakthrough for all the labs involved in such measurements, particularly in toxicology, ecotoxicology and physiology fields, for which this innovation is a simple-to-use and sensitive solution. SAFAS has been an active member of the APFIL (Association pour la Promotion des Fabricants Français d’Instruments de Laboratoire) for many years, and then became member of FABRILABO (Association des Fabricants Français d’Instruments de laboratoire). 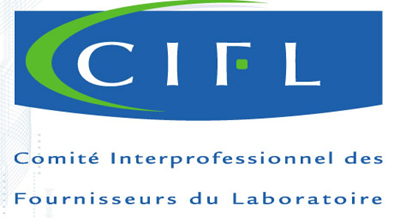 SAFAS is now member of CIFL, Comité Interprofessionnel des Fournisseurs du Laboratoire, in Paris. CIFL is the organizer of Forum Labo exhibition, and of Forum Labo Algeria. SAFAS is also member of the "Groupement des Industries de Monaco (GEIT)", and of the Federation of Metallurgy Industries of Monaco.